Would like your dog as tired as you in the evening? Bring your dog to our supervised play times in the evening. We help your dog learning social skills, no matter if your dog is just young, shy or overwhelming to other dogs. Our play times are separated by size/ temperament and safe for all approved dogs. All our classes run once a week for full 60 minutes, with an additional 15 minutes in between allowing for switching over. We have some classes starting every month! We offer classes for all pet dogs, starting at 9 weeks of age. Improve your dog’s manners, using positive reward-based methods. 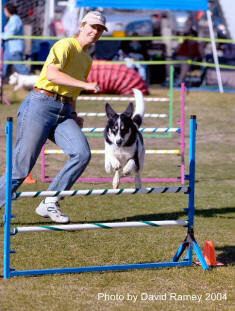 Come to our agility or other sports classes to give your dog an outlet, no matter if you want to compete later or not. Reward-based training works for any type of dog: assertive, shy, stubborn, active, reserved, unruly, overly smart, not so smart (they might only pretend☺)… Our training will improve your relationship with your dog(s) - your dog learning to respect and trust you and you becoming a better advocate for your dog’s needs. 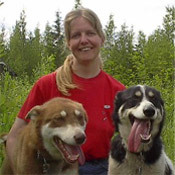 The Better Companion is proud to announce that we have been accepted to the class curriculum of Mat-Su Central School! We're now an official vendor and our classes can be added to your child's school schedule! You are welcome to visit the facility any time before the class starts, to make sure you'll find it in time for your first class. You may always walk in during class times and even observe the class from the waiting area, until the instructor gets a chance to talk with you. Check the schedule for when the facility is open for classes or other events.